Canadian Canoe Routes • View topic - What to buy next - whitewater tripper? Tandem, solo? Post subject: What to buy next - whitewater tripper? Tandem, solo? I would like to get advice on my next canoe. Here are some details. I want to solo trip three to five days, mostly on rivers, with some sections of class I rapids. I’m an experienced tripper and light traveller. I also want to use this boat to practice moving water with the intention of dusting off old skills. 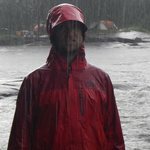 I was once comfortable in class II rapids but find my confidence lacking the last few years. I would like something that can withstand the impact of hitting a rock or two from time to time, be dragged over a beaver dam loaded, etc. That is, I don’t want to baby it. Part of the decision is whether or not to get a solo canoe, a tandem or both and then how to outfit it/them. I often find I’m renting a canoe for family and it would be nice to have an additional tandem for those trips. And then I also usually do a few day trips on Class I and II rivers with a buddy in the spring. So there’s that too. I’m 200 lbs, 5’ 5”, in my late 50s, and kneel only when running whitewater or on rough water. I live in central Ontario. I would consider the higher priced lighter canoes. Post subject: Re: What to buy next - whitewater tripper? Tandem, solo? For Class I & II solo there's a lot of options in composites (all of which I know nothing about so wait for others' input there) but if you really want a durable boat stick to Royalex/T-Formex. Three solo boats I would look at (from more flatwater oriented to more whitewater oriented) are the Esquif Echo, Nova Craft Supernova and the Esquif Vertige - the Vertige being a little beyond your Class I/II requirement. I haven't paddled the Echo but my wife saw one in the store and now wants one. It's the nicest looking non-composite boat I've seen. It's made of T-Formex (Royalex) so it will be more durable than a composite. The Supernova sounds like a great hull but I'm not big on Tuff Stuff. What I've seen (mostly rentals) is that the gel coat will chip when the boat is treated like a Royalex and therefore requires maintenance. I don't like that stores seem to only have Tuff Stuff boats with float chambers and I really hate the metal hooks they have for painters - grommets are a way better option. The upside to a Tuff Stuff (or any composite) is that it would be faster. That makes up for the maintenance for some people. The Vertige will be a slower boat on the flats than the others but is great in moving water. I bought one last summer and it was a game changer for me. It was hard to learn to paddle it in a straight line but my moving water skills advanced more than I ever expected paddling my Vertige. It has the least room of the three but I can also easily camp up to a week or more in it. Four day (or shorter) trips make it hard to drag it over portages because I find many places to stash beer. I'm not sure a seat in a Vertige would work so if you cannot kneel for long periods of time scratch it off your list. It's not an easy thing to adjust to and if there's no rapids to scout, many breaks would be required. Myccr member Swampwalker has a Supernova - possibly even in Royalex - so just convince him to buy a Vertige and sell you his Supernova! If you are really only looking at class 1 and 2 and want something a bit lighter than Royal Lite then go Tuff Stuff or whatever the other manufacturers call their basalt/innegra layup. It seems to be by far the sturdiest of the composites. A seat in a Vertige is definitely a possibility. Thank you for the feedback. I’ve taken the time to look at the suggestions and drill down to what I really want this next boat to do. Its primary purpose will be for canoe tripping, 3 or 4 nights, rivers with occasional class I and II rapids. Secondary use, day trips on similar rivers as described, with the intention of developing my skill. Supernova is out - I like the idea of not having to be concerned with gel coat maintenance. I have two in the shop right now undergoing such maintenance. I seem to need something between the Esquif Echo and the Esquif Vertige. Another canoe that I’m wondering about is the Wenonah Wilderness. With the new details does anyone have further feedback? Mohawk Odyssey 14 sounds like it could be a good fit. Or a Bell Yellowstone Solo. Good luck finding either in central Ontario. Something new and lighter would be a Northstar Phoenix in IXP. Fine for Class 1's and most 2's. Hey Gnarly, YOU NEED A SOLO CANOE. So...will all of your river tripping be downstream? Are you planning to kneel to practice your old skills? I had a Northstar Phoenix and it would make a great downriver tripper...and as mentioned in the IXP lay-up you can abuse it as much as you like. There are many solos that would fit your needs. If you are near a Swift dealer you might try their Prospector 14, Keewaydin 15 and Shearwater to see what you think...the Kee15 is a little more lake biased but would still work fine on easy rivers plus it's quite stable. If you want to pop down to SW Michigan I'd be happy to let you try my Yellowstone Solo and Shearwater. Martin G - I like the idea of the Mohawk Odyssey 14 or Bell Yellowstone Solo. As mentioned, they are hard to find. I have time though. Daypaddler - I have a Swift Keewaydin 15 composite getting the gel coat repaired after hitting a rock. I plan to keep the Keewaydin away from moving water. As for kneeling, I’m still able to kneel for the amount of whitewater I do, but it’s no fun getting back up off my knees now-a-days. And yes, the river tripping will be downstream. The Northstar Phoenix in IXP looks perfect if it is as good as the claims. I would like to know how the IXP is fairing. Has anyone had any problems? Has anyone tested it in tough conditions? Dragged it, etc? The Keewaydin is Carbon Innegra. Wow, there is a lot to digest there. So, solo, 3-5 day trips, class 1, light packer, “impact resistant” and beaver dam-a-drag-able without babying. The solo or tandem or both question is easily answerable. Both, eventually. You want to solo trip, so that is a designated solo canoe. 5’ 5” rules out “soloizing”most tandems, so you are looking at a designed solo canoe with a gunwale width your wingspan will accommodate. Buying a family canoe (instead of renting) is another matter, and I would recommend against some 3 or 4 seater Titanic, or any shorter overloaded tandem. I absolutely agree with that. Find a solo canoe first. When you eventually pair that solo hull with the family tandem (rented or bought used) the possibilities of who-goes-where in which boat grows alongside your family. A solo canoe, designed for the application, makes a huge difference. At 5’ 5”, presuming you don’t have ape arms, the gunwale width and tumblehome will matter. So will 200 lbs seated, even with a lightpacker gear load, so will the performance volume. Therein lies the issue with solo canoe choices. We are blessed with many more solo canoes that ever before available. And they are all a little, or a lot, different. The Yellowstone Solo was too narrow even for my day big boy day tripping purposes, to say nothing of carrying a load of camping comfort gear. The Mohawk Odyssey is one of my favorite class 1, low 2 downriver daytripper (our is fully bagged out). If it is shallow water I will still pick the Odyssey 14 off the racks over the MRC Solo Plus (another great RX solo, MRC Guide and Courier too) or Wenonah Wilderness. The flattish (very) shallow arch bottom of the Odyssey will float across a dewy lawn, the vee bottom of the MRC hulls less so, and the Wilderness has too little rocker for small twisty rivers. But all of those are too small for my bulky tripping load and bulky me. Same lack of volume with the Phoenix, although the composite weights are alluring. At 14’ 6”, with an “optimal load” of 200-300 lbs, as a tripping canoe I would sink it below best performance. As a day paddling canoe it might work, but we beat the low water holy hell out of our day paddling boats, and I am happier with scraped and dented Royalex than damage to composites (either of which I can repair). There is such a range of solo canoes available, from stubby 10 foot pack canoes to narrow 18 foot water rockets. The proven reliable adage is “Buy a canoe for what you honestly plan to do most of the time”. It is harder to pick out one Best-Fit design niche with a solo. That’s why we ended up with several. Er, an even dozen, all different.